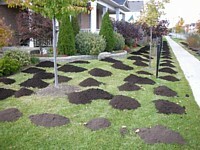 If the service is not performed when and where it's needed it can create problems for a customer's lawn. 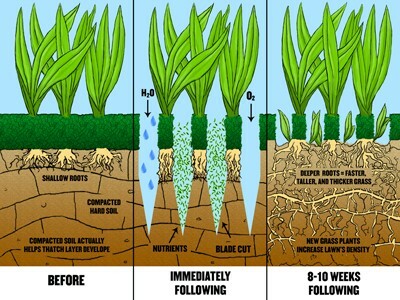 Performed incorrectly or at the wrong time, such as during an extended drought, aeration can damage turgrass. Obviously, if the lawn is rock hard and the aeration unit does not penetrate the soil to a sufficient depth, the service offers few benefits to a customer's lawn. Obviously, there's also the issue of the unsightly cores that are created by aeration. Some property owners don't want to see them on the lawn even though the cores break down within a week or two. In those cases, it might be necessary to drag a property and break up the cores after aeration. 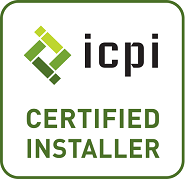 Call us today for an estimate and consultation. Topdressing consists of applying a layer of soil, sand, compost, or a mixture thereof to turf grass. Top dressing is applied in layers ranging from 1/16 – 1/2 inch at a time, generally once every growing season. Lawns require topdressing to maintain a uniform surface, which is helpful for drainage. Often times, these materials act as a soil amendment as well and are a practical method for leveling out dips and ruts.